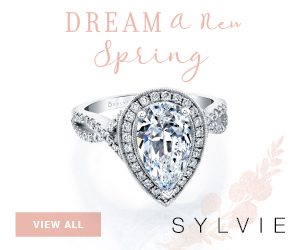 In recent years, women have become very involved in selecting their engagement ring. The boom in alternative center stones and settings is a direct consequence of their involvement. 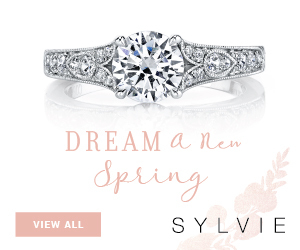 Women are not afraid of stepping away from what is considered a traditional engagement ring in order to achieve their main goal: wear a ring that’s unique and special to them. 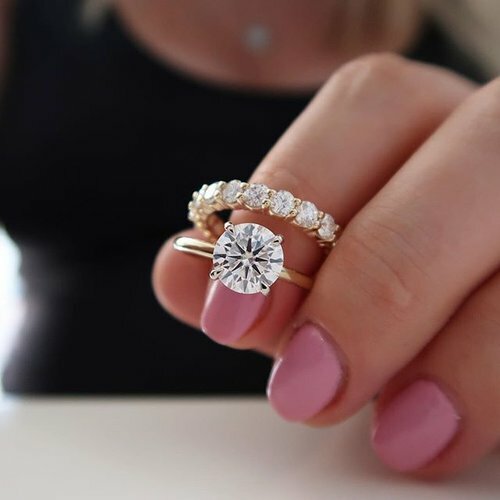 Some millennial women don’t plan to commit to their starter engagement ring for a lifetime, so why not take a risk and think outside of the box? Here are 5 of their favorite trends. 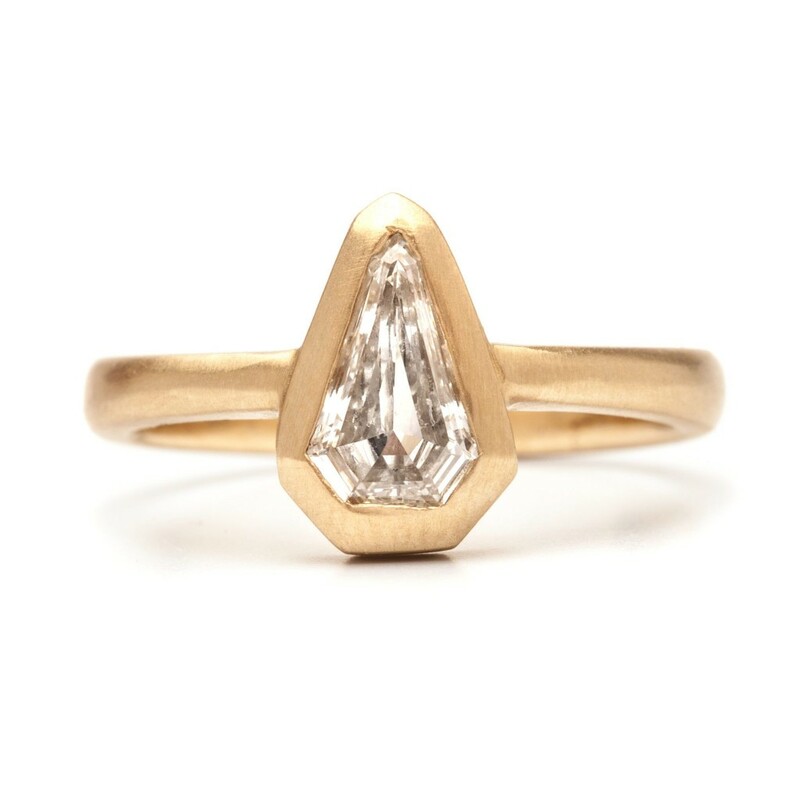 Fancy diamond shapes include the 3 star shapes of 2018: oval, pear and marquise. Unconventional brides have also been drawn to rare shapes such as trillion, hexagon and shield cut diamonds. 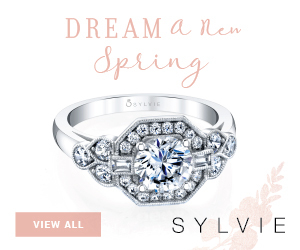 The Rebecca Overmann ring pictured below features an elongated shield cut diamond. The commonality of these choices is that within each of these shapes there are so many ratios that none two diamonds are really ever the same. Antique diamonds are truly rare which is why there is a rising demand for them. However, for couples on a budget, old Euros and old mine cuts can seem expensive. Rose cut diamonds are whimsical, their glow is paying homage to a time when diamonds sparkled in candle light. They do not have to be antiques. They are a more affordable and popular option. There’s a growing enthusiasm for grey and colored diamonds with visible flaws. Their fans see beauty in what others find unattractive. Gem Breakfast‘s offering is on top of this trend. Most of the engagement rings they sell are limited editions which makes each ring even more special. 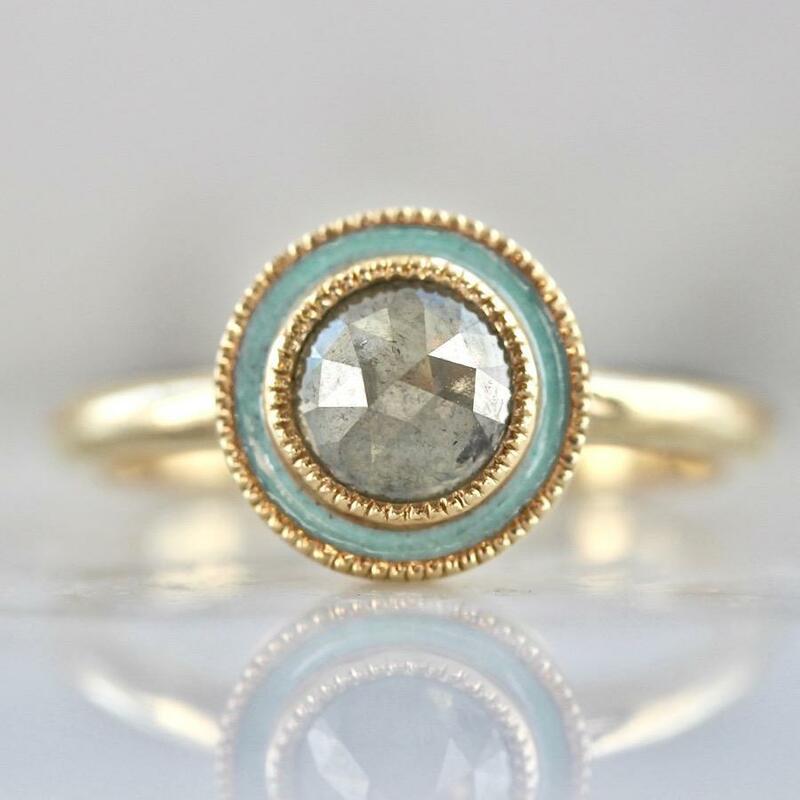 We love this enamel and grey diamond ring by Emily Gill. No matter what the jewelry industry is pitching, women are making their own choices and they are not making them blindly. Sometimes it is in connection with their beliefs in sustainability or simply because they don’t want to pick an expensive center that will be a strain on the couple’s financial future. They are turning to traceable colored gemstones, lab-grown diamonds and moissanite. 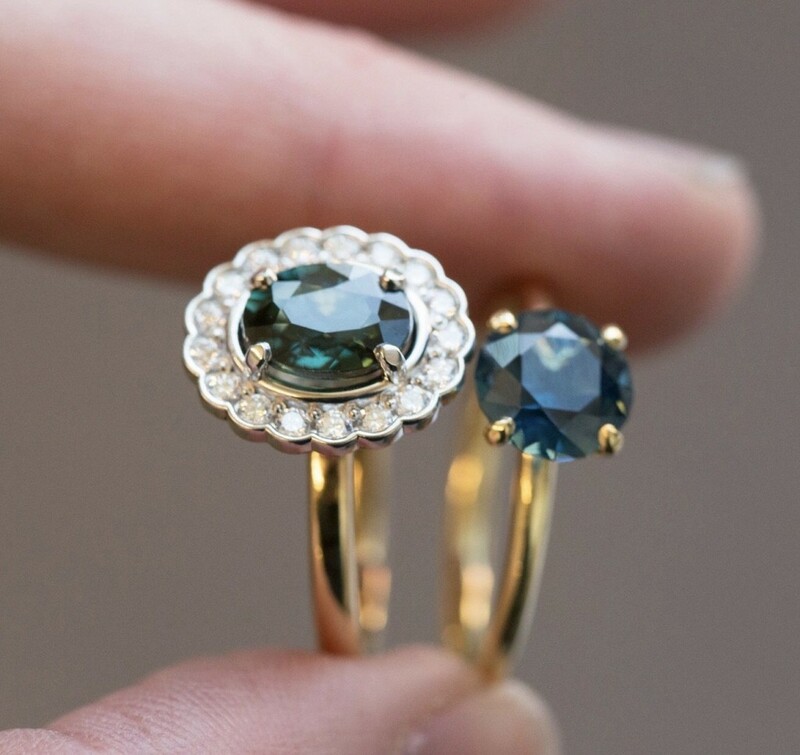 The Anueva jewelry rings pictured at the beginning of this article are featuring Montana sapphires. The all moissanite wedding set below is by Ring Come True. 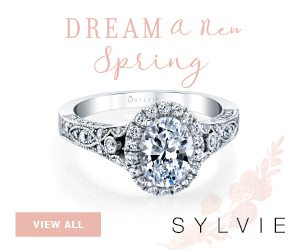 Whether by making modifications to existing designs or enrolling a designer to make a ring from scratch, women are electing to create a one of a kind setting for their engagement ring. It is a choice and an experience that is becoming the norm. 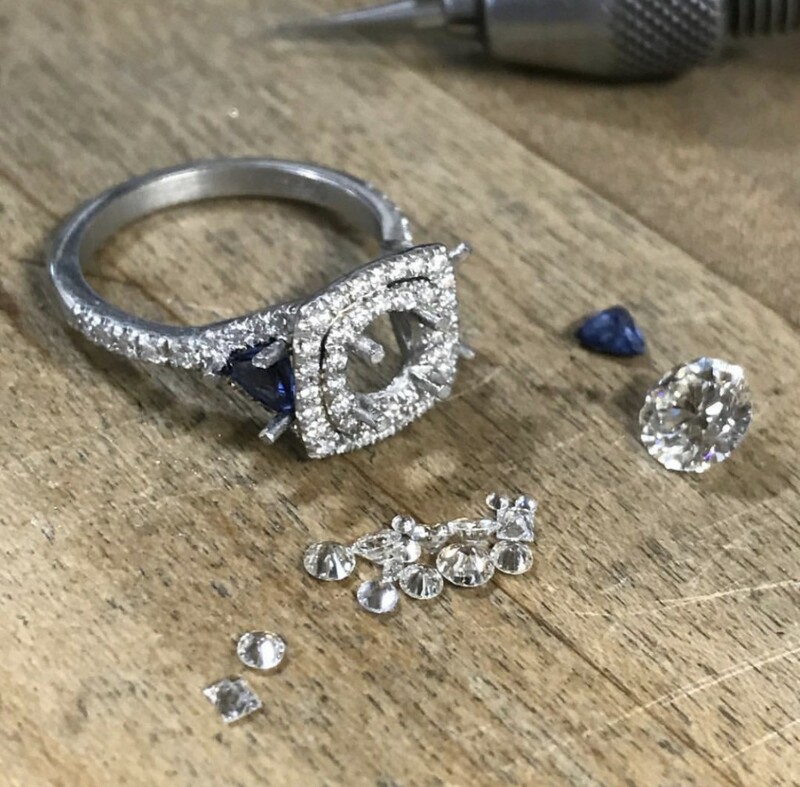 Mark Patterson, a jeweler based in Corona Del Mar California, creates engagement rings in collaboration with clients constantly. Pictured below is a recent custom project. Who says one of the stones has to be larger? Not the women picking eternity bands as engagement rings. Designers are creating beautiful eternity bands with fancy shaped diamonds which have become very popular in lieu of engagement rings. 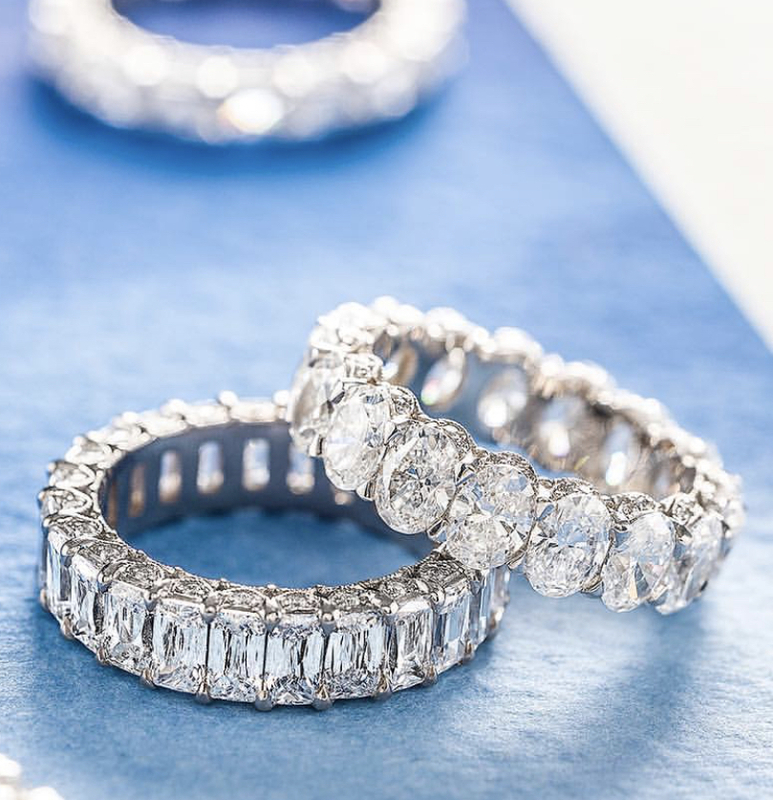 Tacori is offering all oval and emerald diamond bands (pictured below and spotted at H.L. Gross) as well as all marquise bands.